(TibetanReview.net, Jan18’19) – Washington-based International Campaign for Tibet (ICT) said Jan 16 that all its Tibetan empowerment programmes, numbering six, have been named after the Dalai Lama’s late special envoy Mr Lodi Gyaltsen Gyari. Mr Gyari was also, for long, the ICT’s executive head and later executive board head. The ICT board said it took the decision to honor Gyari for his contribution and in his memory. Gyari, who was a senior Central Tibetan Administration official in different positions before his ICT posting, passed away on Oct 29, 2018 in San Francisco, aged 69. 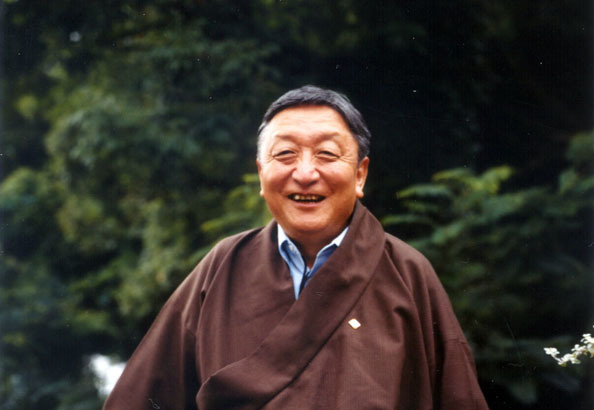 He was the founding editor in 1967 of Tibetan Review when it was published as Voice of Tibet. Apart from previous involvements in talks with China, Mr Gyari led ten rounds of contacts with the Chinese leadership from 2002 to 2010. The talks ended on a sour note and both he and envoy Kelsang Gyaltsen, expressing disappointment with the Chinese leadership and taking note of the change in the in exile Tibetan political leadership, resigned in 2014. The Lodi Gyari Tibetan Empowerment Programmes consist of the ICT’s Tibetan Youth Leadership Programme, the Tibet Lobby Day programme, the Rowell Fund for Tibet programme, the Tibetan Parliamentarians Programme in Europe programme, the Humanitarian Assistance to the Tibetan community programme, and the Political Prisoners Rehabilitation Programme. The ICT, founded in 1988, works to promote human rights and democratic freedoms for the people of Tibet through a number of initiatives and programmes. These include monitoring and reporting on human rights, environmental and socio-economic conditions in Tibet and advocating for Tibetans imprisoned for their political or religious beliefs. It works with governments to develop policies and programs to help Tibetans and to secure humanitarian and development assistance for Tibetans. ICT also works with Chinese institutions and individuals to build understanding and trust, and explores relationships between Tibetans and Chinese. Besides, it mobilizes individuals and the international community to take action on behalf of Tibetans. And it promotes self-determination for the Tibetan people through negotiations between the Chinese government and the Dalai Lama. ICT maintains offices in Washington, DC; Amsterdam; Berlin; and Brussels, with a field office being set up in Dharamsala, India.